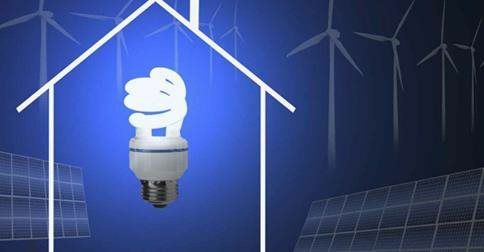 Energy efficiency is increasingly important to home buyers. Knowing that affordability is impacted by the cost to maintain a home, more buyers are searching for homes that will have the lowest possible utility bills. Here are six simple steps devised by Credit.com to take during the home search to ensure the house you’re about to purchase is energy-efficient. If you’re looking to buy an existing home or condo, ask for the current owner’s utility bills for the past year. This will help determine not only what monthly bills might look like, but whether or not there are easy ways to lower them. When touring a house, look for clues of energy-efficient features like Energy Star stickers on appliances and other green labeling for products like low-flow toilets and tank-less water heaters. Look around for features in homes that have clearly gone the extra mile with efficiency measures like solar panels, water-efficient landscaping plans, and tinted or triple-paned windows. The bigger the home, the more energy it uses. Houses with smaller rooms and fewer stories will require less energy for heating and cooling. Smaller homes also mean less space for amassing unwanted and unnecessary stuff. Remember to prioritize the size of homes that will still meet needs without superfluous space. For just a couple hundred dollars, a professional can perform an energy audit on a home pre-purchase. This will help identify any problems with the efficiency of the home like air leaks or outdated appliances and provide the full picture of how much it might cost to solve some of the issues and lower future bills. For the new home buyer, consider researching building companies before visiting new homes. Many builders nationwide are becoming more eco-conscious and build with efficiency in mind. Chances are there’s a builder in your area making sure that the new-home you buy won’t break the bank with high bills later.